On November 28th, Valentino was asked to sit on a panel to speak for the GWI-IRC South Sudan Launch Event. To learn more about this research and its findings please read the full report HERE. GWI- IRC has recently completed the first large-scale research study of violence against women and girls (VAWG) in several areas of South Sudan that have known war and conflict for many years. In 2015, the International Rescue Committee (IRC), the Global Women’s Institute (GWI) at the George Washington University and CARE International UK (CIUK) launched a comprehensive study to understand the prevalence, types and patterns of violence against women and girls (VAWG) in South Sudan who live in areas of conflict. The research is part of the United Kingdom’s Department for International Development’s (DfID) global programme entitled, What Works to Prevent Violence Against Women and Girls (‘What Works’). This year, GWI finalized data collection and analysis and has been drafting reports and recommendations for multiple stakeholders based on the findings. This groundbreaking research will not only have an impact on policies and funding to prevent and respond to VAWG in South Sudan and other humanitarian settings, but will also provide a methodological model for similar research in other conflict settings. It was an honor to have Valentino be apart of this event and we look forward to partnering with them again in the future. July 25 2017--The Valentino Achak Deng Foundation hosted a three-course dinner at Isa restaurant in San Francisco. The event was held to raise money towards creating quality educational opportunities and to support various community projects in South Sudan. A great deal of the VAD Foundation’s board members attended as well, including Reece Hirsch, Barb Bersche, Tiffanie DeBartolo and Scott Schumaker, as well as the VAD’s many supporters from around the Bay Area. These guests told stories about their association with the foundation and with Valentino. During the event, Phil Mays, who is a friend and prominent figure in What is the What, expressed his dedication to the foundation: “I have been a board member for the VAD Foundation for almost a decade and it has been so great to see Marial Bai Secondary school grow into a school capable of serving 350 youth in South Sudan." The dinner was a success, with over $2,000 dollars raised for community projects supporting South Sudanese youth. 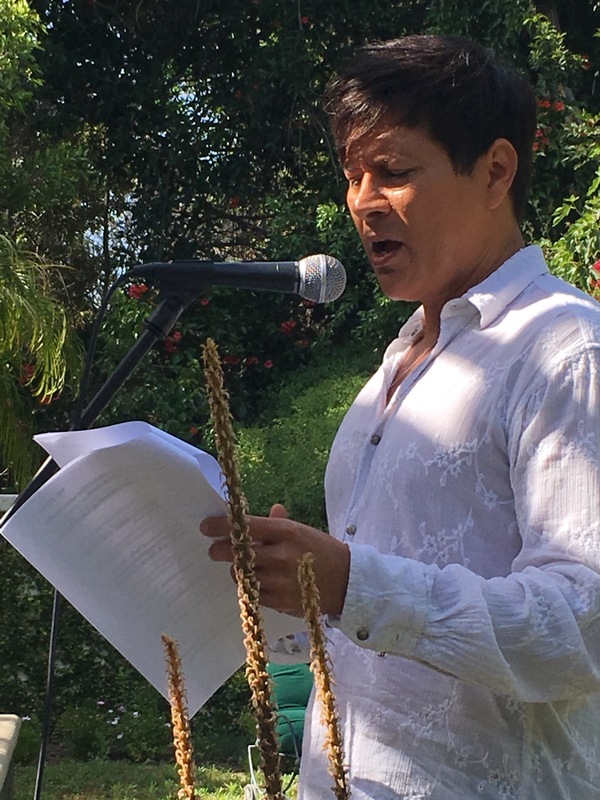 On April 23rd, the VAD Foundation hosted a celebrity storytelling event in Los Angeles. The event raised over $10,000 in combined ticket sales and pledges to combat the current food crises in South Sudan and to support MBSS's maize program which will distribute food grown on the school's farm to those in need in the community. Writer and creator of the award winning series, "I'm Special And So Am I" Juliette Cohen, writer and illustrator Chris Noxon, LA storyteller Henry Mortensen, film and television director Allan Arkush and "Moth" winner and stand-up comic Jenna Brister--spoke on the surprise topic of "exploration". Taylor Grant read from his short story collection Dark at the End of the Tunnel. 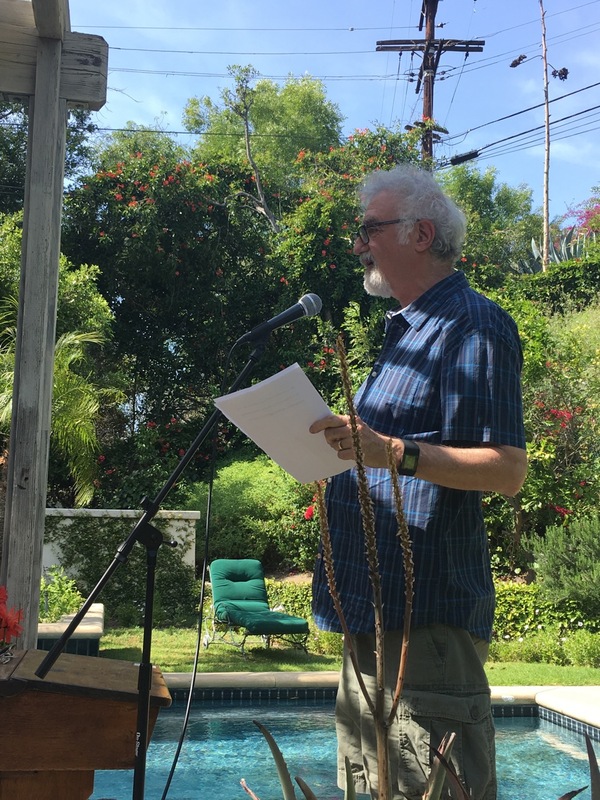 We look forward to hosting our 2nd Annual L.A. Storytelling event next year! On April 7th the VAD foundation hosted its first Guest Bartending fundraiser at Cease and Desist. Money was raised through bar tips, 100% of which were donated to VAD programs to help the Marial Bai community in South Sudan. With its small yet cozy atmosphere, Cease and Desist is one of the many great bars located within the Mission District. The event offered a warm place to escape the rainy weather and enjoy a cocktail prepared by our skilled guest bartenders. On this day the bar was filled with a medley of local supporters, friends, and donors who have contributed to the foundation for years! Many enjoyed delicious food with friends as they relaxed and celebrated the start to the weekend. All in all this was a great night out for everyone. The guests left the bar knowing more about our noble cause while still enjoying a Friday happy hour with their friends and loved ones. To top it off, thanks to our donors, supporters, and general crowd from the bar, we were able to raise over $1200! We are so thankful to everyone who attended and showed their support. You are what make our work possible. We hope to see you at our next event! Join our mailing list to be notified about all our upcoming events!